Think about the last good film you saw. Which character did you really connect with? If we were gamblers, we’d bet that something about that person’s voice tugged at your emotions in a way you can’t quite explain. The words themselves were secondary. A human voice can achieve something that words on a page can’t. Right now, you’re probably reading this post in your own voice. We’re connecting, but not at the level you connected with that character. 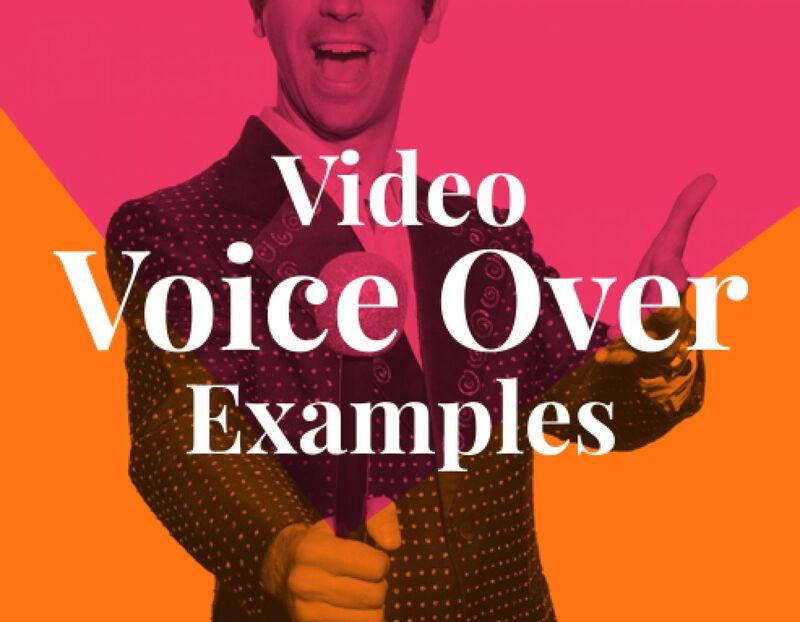 By adding voice overs to your videos, you can use the connective power of the human voice to add a level of intimacy to your content. Let’s take a look at some videos that use voice overs to reach new heights. Neither the actor (or the cats) speak in this video. That power rests with the storyteller. He asks us to imagine a world where our worst fears are realized and the cats have finally gained control. We never see the storyteller, but his voice guides us through the kitty uprising. Some stories work better when the the protagonists don’t speak. The milk drinker is us, the everyman. If he opens his mouth, he’ll break the magic. It’s not all about cats taking over the world. Voice overs can work really well for beauty and lifestyle videos. Zabrena, a beauty vlogger, uses a voice over during the application phase of some of her videos. This makes it easier on the content creator. Instead of re-filming individual parts until you get them right, you can film the action and add the voice on top. If you are creating a video that needs a lot of concentration, this is a pretty useful technique! This is another great example of the storytelling narrator striking the perfect emotive note. The video answers the ultimate question: how do you know she loves it? It’s a little irrelevant, a little fun, and definitely not as dry or fancy as typical jewellery ads. SEO isn’t the most exciting topic in the world. Statistically, you’re more likely to remember that Game of Thrones character who died gruesomely in Season 4 than the hottest SEO trend. In this video, HubSpot explains topic clusters and how recent changes in SEO can affect your existing strategy. To add some life to the video, they use a combination of fun and informative animation, combined with a voice over. The narrator helps keep viewers engaged and interested. This is a great combo for product videos and explainer videos. Charlie breaks down Tyrion’s behavior patterns using scenes from the popular TV show to make his point. Using a voiceover lets Charlie use visual examples and easily add his own thoughts on top while staying on-message. Voice overs are great for reviews! In this Honest Trailer from ScreenJunkies, the team stitch together scenes from the two movies to put together the trailer and use a voice over to add their own unique spin to it. If you find yourself making motivational videos, reviewing TV shows or movies and using highly visual examples to support your message, using a voice over can really add some punchy flavor. Sometimes, a partial voiceover will do the trick. In this video from Budweiser, the team use voice over to perfectly capture emotion. As we get the visuals of Adam driving to Hayley’s house, a voice reads Hayley’s letter to Folds of Honor. The action unfolds, helping us see exactly what she’d been through. As the letter ends, we get to see what happens next. Using voice over for a part of your video can be a great storytelling tool. Use it to support powerful scenes and add depth to the video. Multiple stories come together as people search for the right opportunity. Together, yet apart, they seek the moment that changes everything. We see their faces as they head to school or work, or leave the wedding that could have ended it all. And, amongst it all, the narrator’s voice tells us a story of hope. The voice over brings a lot of disparate stories together and weaves a common narrative. Video voice overs are a great way to add a bit of soul to your video. They let you connect with your audience and tell a powerful story through a series of images or, in the case of the cat uprising, silent protagonists. So, why not use a voice over to tell your perfect story?